Packed a picnic and took off to my happy place to enjoy the glorious warmth and sunshine! But I arrived at one of my favourite beaches to find it shrouded in fog so thick I could barely see the surf, let alone several metres in front of me. But I powered on regardless, enjoying the absolute peace and freedom on a one hour beach walk. 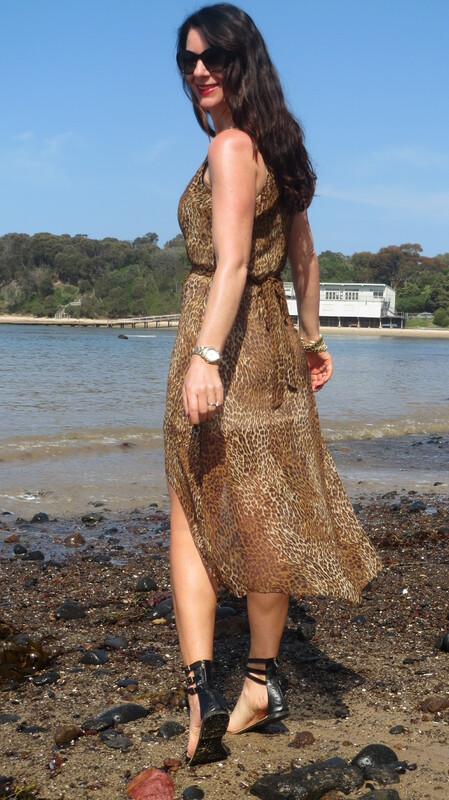 By the time I slipped into this sheer Forever New leopard print dress, the sun was starting to burn off the fog and I plonked myself on a rug and didn’t move for a few hours. After two coats in one day of Palmer’s bronze tanner on my legs, here is the result. Natural colour and minimal tanning odour. 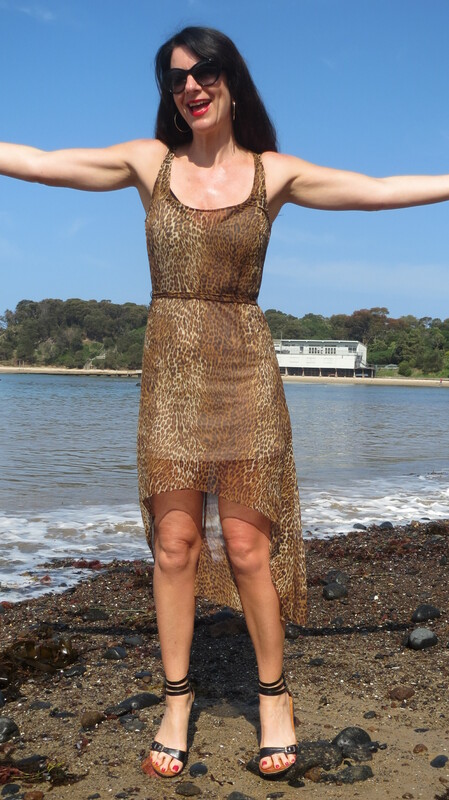 Baring the midriff is very on trend so when the temperature heats up, I’ll be trying this leopard number over a black cropped tank and mini skirt or shorts. If you get the chance girls, I highly recommend making the time to visit your happy place and indulge in some ‘me’ time. And now you’re Looking Good Girls! “The works of his hands are faithful and just; all his precepts are trustworthy. They are steadfast for ever and ever, done in faithfulness and uprightness.” Psalm 111:7-8.